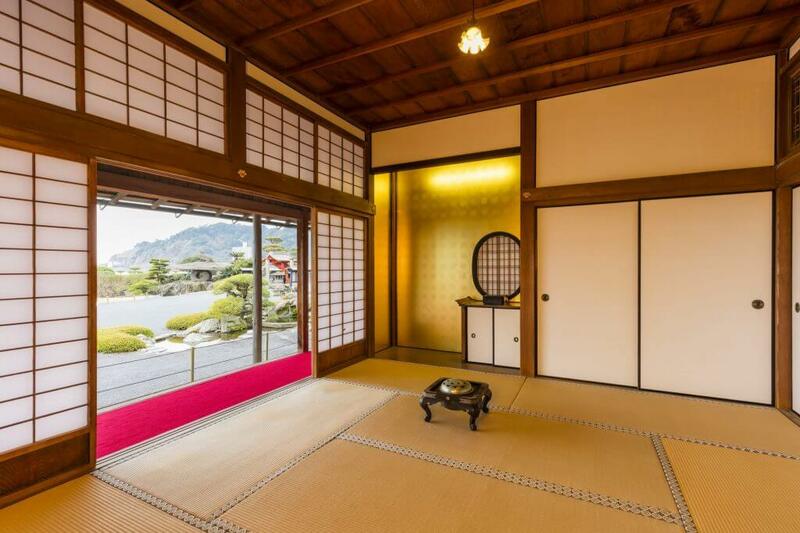 Explore the house lived in by the Shimadzu family, and find out how a feudal lord lived at the end of the 19th century. 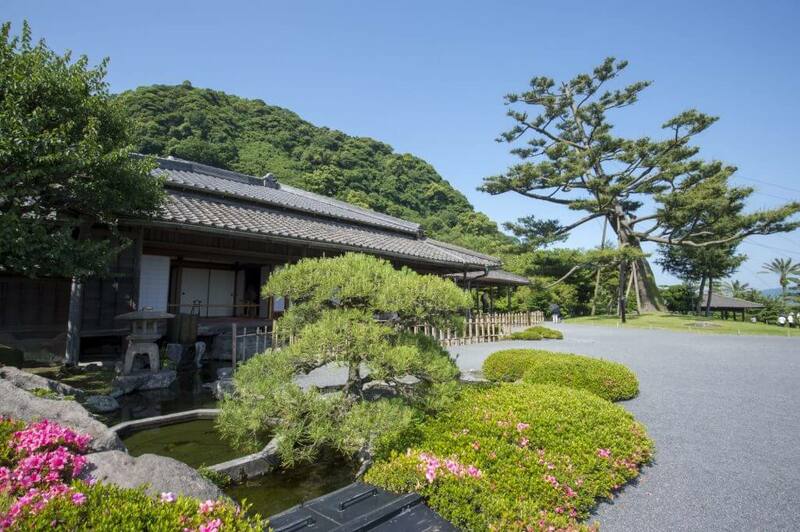 Entrance tickets can be purchased at the house or with entry to Sengan-en. 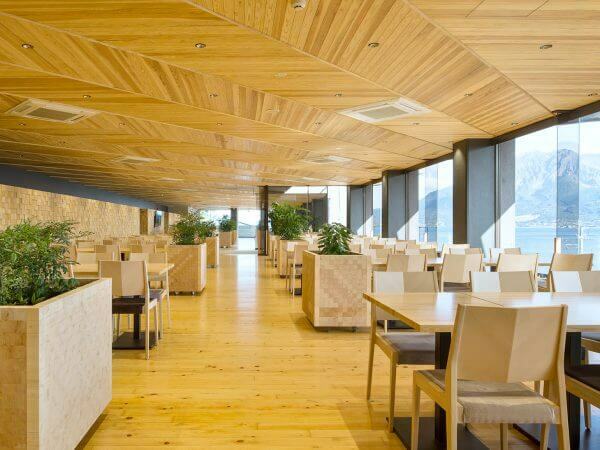 Enjoy a wide selection of Kagoshima delicacies in our spacious restaurant overlooking Kinko Bay and active volcano Sakurajima. 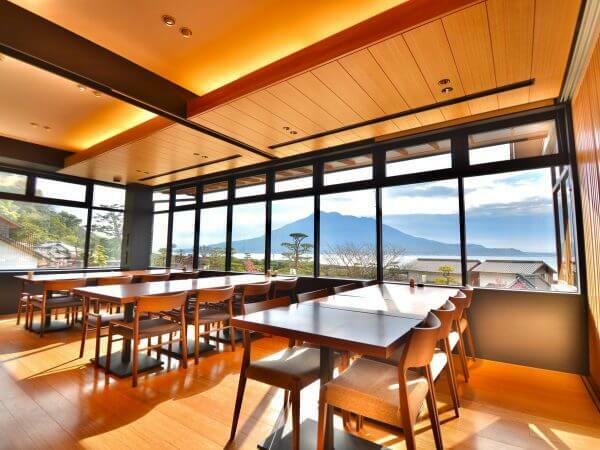 The warm wooden interior provides a relaxing space to rest and enjoy the view of Sakurajima in the distance. From filling dishes to light lunch options and drinks, our menu has something for everyone. 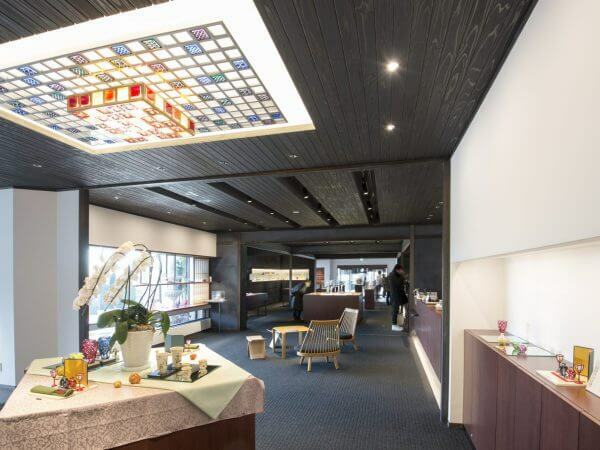 Enjoy the best of Kagoshima cuisine at our flagship restaurant Ohkatei. Using only the finest local ingredients, we have created a modern Japanese menu that expresses the best of the region and the culinary legacy of the Shimadzu family. A spectacular view of active volcano Sakurajima is the perfect accompaniment to the pinnacle of Kagoshima cuisine. Enjoy the finest Kagoshima cuisine served on Shimadzu family tableware, including Satsuma Kiriko cut glass, in a private space not normally open to the public. Hime-no-ma was the part of the house where the princesses of the Shimadzu family lived, and this course gives exclusive access to this historic area, giving guests a unique experience in a traditional Japanese space. The Sengan-en Brand Shop introduces the pinnacle of Satsuma craftsmanship. 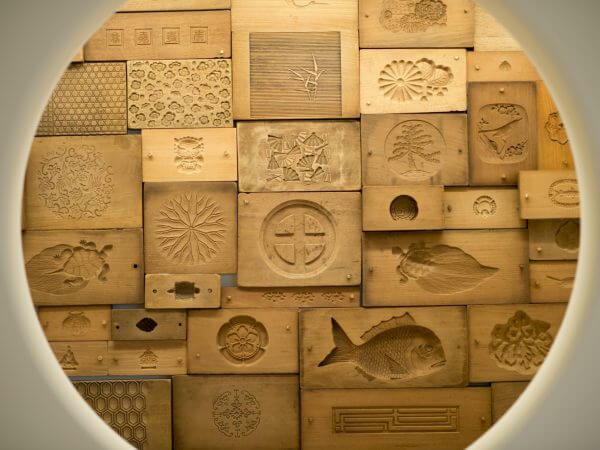 Stunning Satsuma Kiriko crystal glass, highly decorated Satsuma-ware pottery, and products carefully carved from 1,000-year-old cedar wood from World Natural Heritage Site Yakushima are on display. The Shimadzu Gift Shops feature a number of famous local brands with a historical connection to the Shimadzu family. 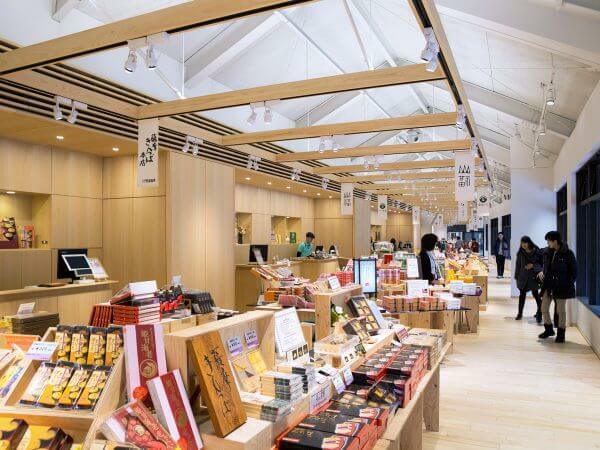 Browse the finest confectionery, condiments, tea and shochu, each with the seal of approval of the 800-year-old Shimadzu family. Discover a wide selection of local craft products and sweets at the Satsuma Gift Shops. 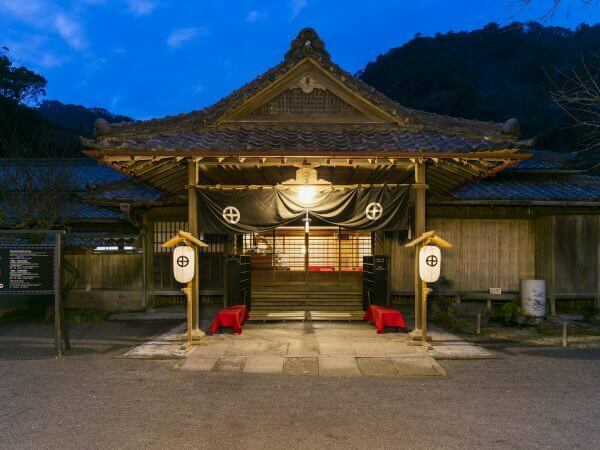 Feel the quality of hand-made local crafts like Oshima Tsumugi silk pongee, and browse a large selection of mementos from Kagoshima that will remind you of your visit to Sengan-en. Guided tours of the gardens in English are available upon request.